Looking for something to do with the family to celebrate the Fourth of July holiday? This year the City of Brockton will be holding the 12th Annual July 4th Concert & BBQ at the VA Hospital from 2-4 p.m at 940 Belmont Street. Dale and the Duds will be playing and we will be serving a Fourth of July meal of hot dogs, chips, apple pie and drink free for the vets. The meal is avaliable to the general public for public $3. The money raised will be given to the recreation fund to allow the veterans to get away and enjoy other events off campus. Attendees are encouraged to bring a lawn chair for the event. For further information please call Coordinator Susan Curry (508) 631-5624. BOSTON: Pops preview concert, 8:30 p.m. Sunday, July 3, Charles River Esplanade. Concert and fireworks, 8:30 p.m. Monday. Oval opens at 4 p.m. Sunday and 9 a.m. Monday; www.july4th.org. BRAINTREE: Parade: 11:45 a.m. to 2:15 p.m., June 25, from Hollis School to Braintree High School. Lighting of the Lake: 9:35 p.m., Sunset Lake. Fireworks: 10 p.m., Braintree High School. BROCKTON: 10:30 p.m. Friday through Monday, July 1-4, Brockton Fair, Belmont Street. brocktonfair.com. HALIFAX: Celebration: 10 a.m. to 4 p.m., June 25, on the Town Hall Green; evening events at elementary school across the street; food, music, family activities. Fireworks, 9 p.m.
MILTON: Celebration, 9:30 a.m. July 4, , Kelly Field. Races, face painting, ice cream. 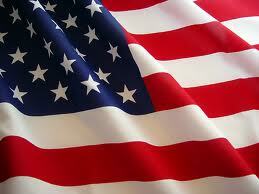 PLYMOUTH: Parade, 9:30-12:30 p.m. July 4, from Court Street to Main Street to Water Street. Fireworks, 9 p.m., next to Plymouth Rock. QUINCY: Barbecue, 6 p.m., July 2, Nickerson American Legion Post, $10. RANDOLPH: Parade, 7 p.m. July 3, from Boston Higashi School, 800 N. Main St.; to the fire station. SHARON: Lakeside celebration: 6 p.m. July 3, Memorial Park Beach, food and music. 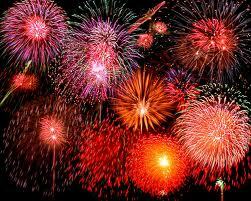 Fireworks, 9:30 p.m.
STOUGHTON: Concert, 6 p.m., July 3, Stoughton High. Fireworks, 9:30 p.m.
WEYMOUTH: Celebration, 5 p.m. July 3, George Lane and Wessagusset beaches. Family entertainment. Fireworks, 9:30 p.m., Wessagusset beach. WHITMAN: Road race, 8:15 a.m. July 4, town park. Field and Family Day, 10 a.m. to 1 p.m.
What do you have planned for this Fourth of July holiday? We’d love to know! Please leave a comment with and share a link if possible! Get Those Kids to Read! Had my computer not been down the past couple days, I could have added about Middleboro’s festivities in time, but for next year: Middleboro has an annual celebration that includes a carnival near the fire and police stations, two different nights of fireworks and a parade in north Middleboro.